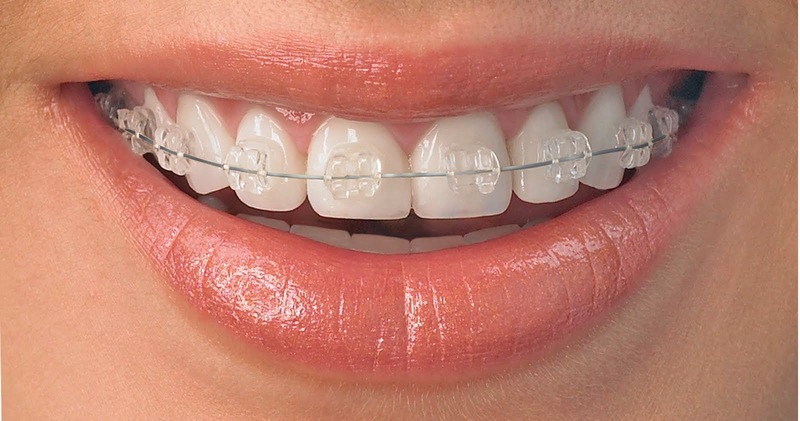 Clear ceramic braces are made of ceramic alloys. They are very transparent. Because of its transparency it has great followings. 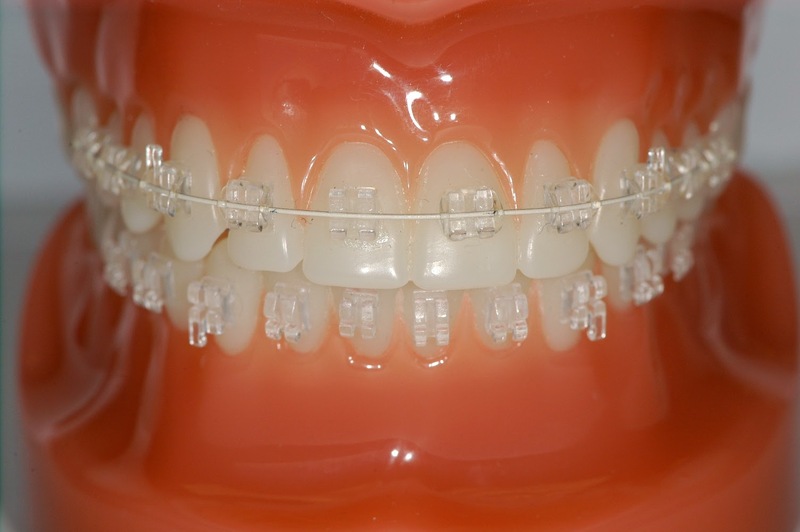 The arch wire used with clear ceramic braces is metallic wire. The elastic ring or ligature is clear or made of white metal. Because of the transparency of the ceramic braces, that are also available in the tooth color. So these braces are less visible from the distant view. They are less visible than the traditional braces. It moves teeth more faster than the other braces. Ceramic braces are more expensive than the traditional braces. Chance for stain the brackets. Some time the ceramic braces are not applicable for the lower teeth. 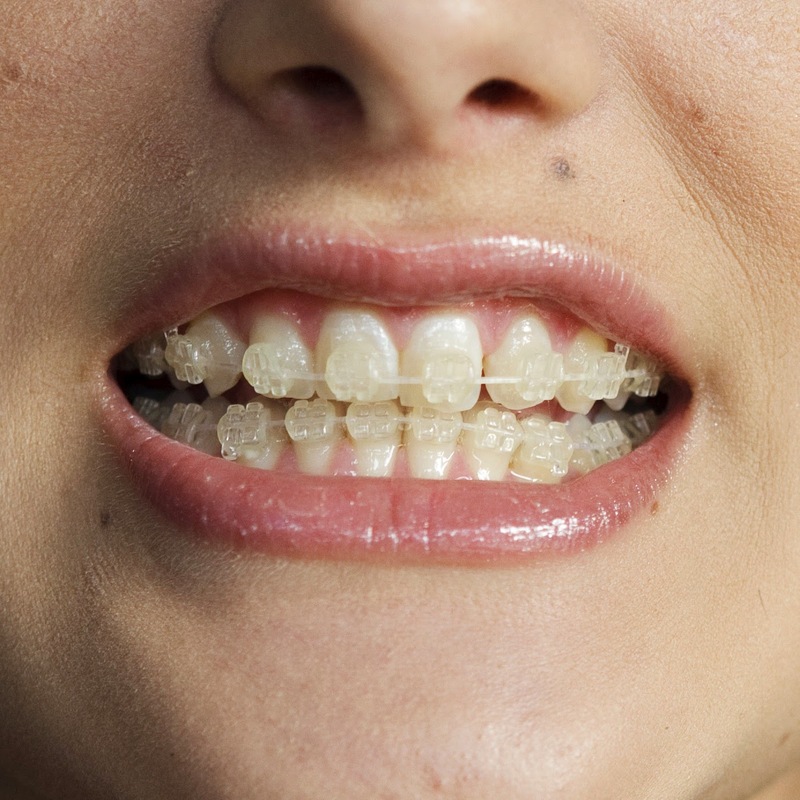 Ceramic braces are harder than than enamel, so there is a chance for enamel damage. Treatment starts with cleaning of teeth and attach the brackets on the front surface of the teeth using the bonding glue. Then the arch wire attached to the brackets. Ligatures are used hold the brackets and wire together. The brackets apply force on teeth to move them to desired position. Arch wire also have important role in determine the alignment path of the teeth. After the completion of the treatment the patient advised to wear retainer to hold the teeth in the new position. Cost of the ceramic braces treatment depend on the condition of the patient, type of braces and any restorative work needed before or during the braces treatment. City Dental Center imparts you Dental Braces Treatment with latest technologies in Aurangabad. Most of the people have poor dental health in India. They don’t care their child oral health. Children suffered from poor dental health. Parents should aware about children dental health in India and across the country. Good and precise information about dental braces. I wanted to get the procedure done but was unaware about how exactly it is done and if i should really go for it. Now that i am clear about it, i can look forward for my procedure. I also got good information when i searched for dental implant india as i am willing to travel anywhere in India to get the best treatment done. At last it is a big decision and that the effect shall last long. This blog has increased my dental awareness very well thus it is explained the procedures very well so please update these kind of information. it clearly explained about an ceramic braces which specifies some of the new ideas to know more. straighten teeth without braces - Some persons say that having straight and well positioned teeth are required to make a beautiful smile. Everyone is not confident in the appearance of their teeth. While braces are generally the best way to straighten teeth, not everyone likes the metallic look of traditional braces method. In these days, there are many other was to teeth without getting braces fitted; it just depends on your budget and specific dental needs. What makes Ceramic Braces expensive? I always look forward to your posts. This platform has never disappointed me. Thanks guys! Amazing article, good to read and understand..